Not my ‘usual’ style at all. 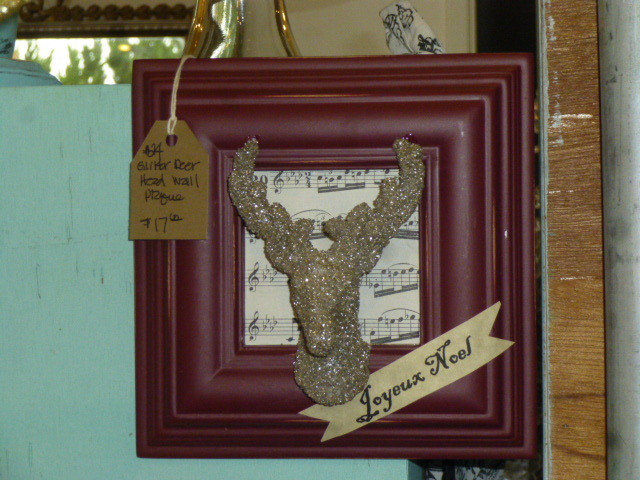 I guess the ‘deer head look’ has grown on me after seeing it so much in the decorating world. 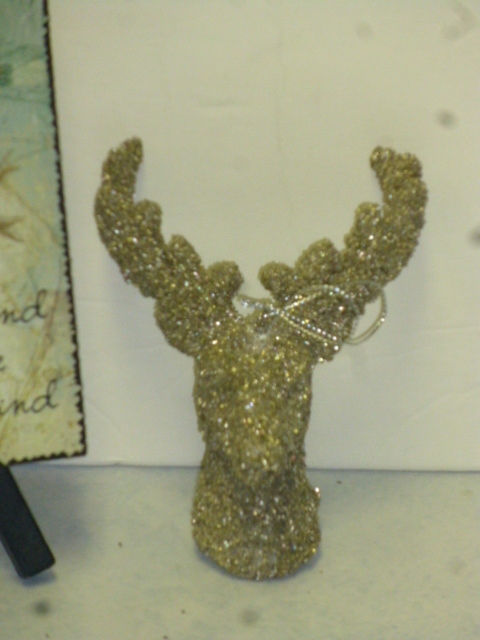 For so,e reason I HAD to buy these glittered deer head ornaments last year. On clearance after Christmas, of course! Initially thought that I might use them atop some paper mache gift boxes. 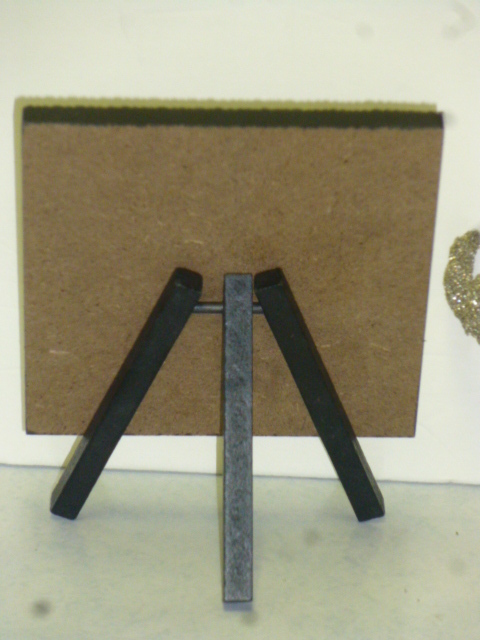 Then I came across this little wood plaque with attached easel from the dollar store. 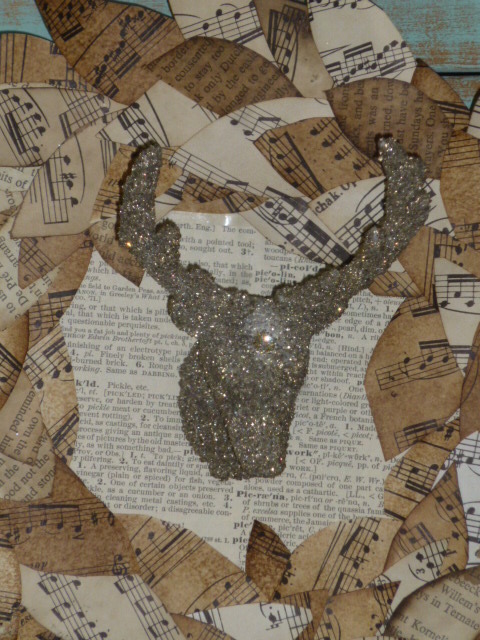 I removed the screw and hanging string from the deer head and filled the hole it left behind with matching glitter. Glued a page from an old dictionary to the plaque. 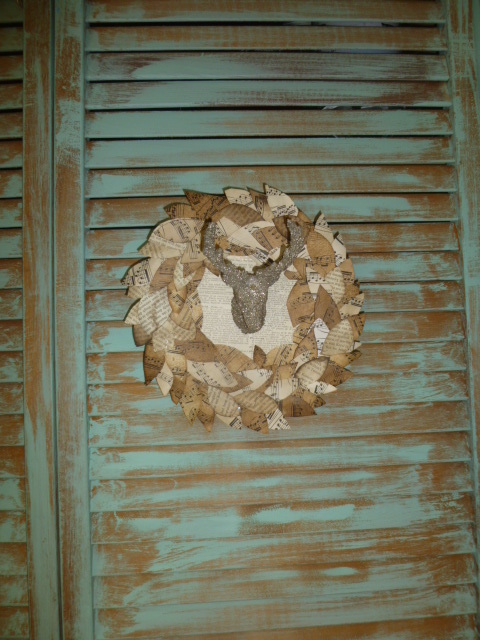 Glued on a small sheet music leaf wreath around the edge; the glued the deer in the center. I wanted to keep the wreath part small enough so that it could still STAND; and added a loop of twine to the back so it could also be hung. 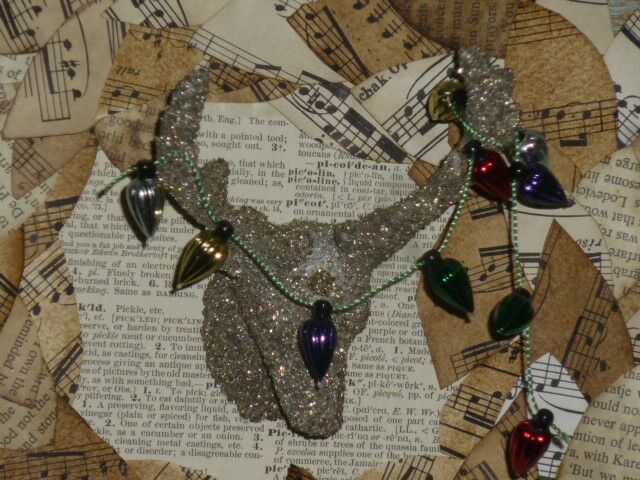 Then, just for fun, I draped a little strand of mini decorative tree lights across the horns. I didn’t want to ‘permanently’ attach the lights, just in case. You never know if stuff like that will be perceived as tacky or FUN. Having them removable covers both possibilities! As the finishing touch, I added a little “Goodwill towards men” tag. This one is for sale in my booth at Stars. I had a second ornament and decided to create a simpler piece with it, using a thrifted red frame. 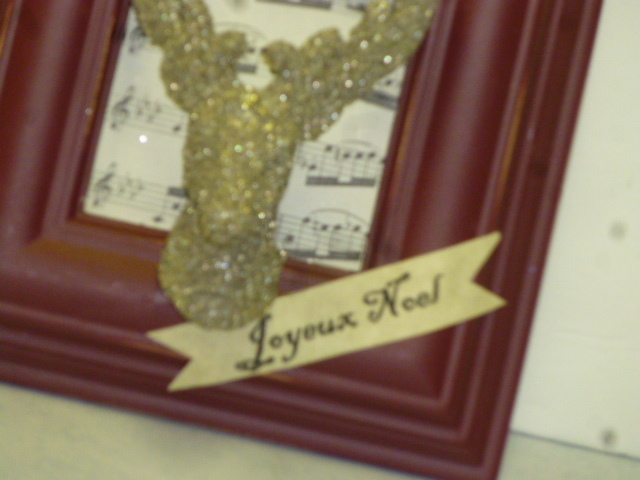 And just adding a ‘Joyeux Noel’ tag. This one is available in my booth at Curiosities. Everything you do is so clever! Keep up the good work. Love following you. You’re my favorite! I bought this exact ornament too and have been waiting to find something to do with it. 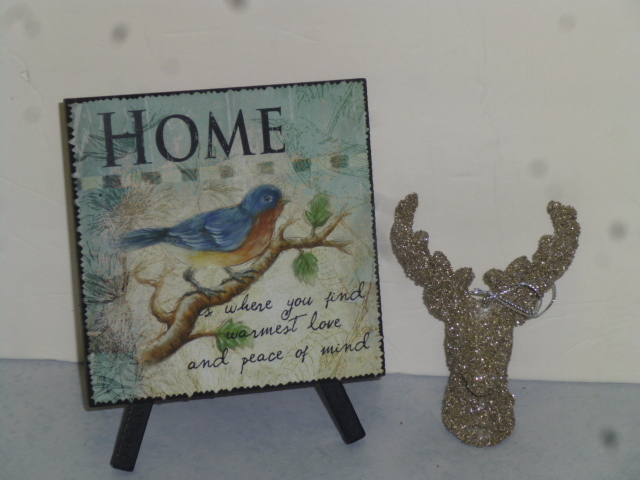 I love how you attached it to a frame…stealing the idea. thanks!